Route 74: Eastbound from IPSS @ 05:20 will be delayed. Route 73: Southbound from HOST @ 06:05 will be delayed. Route 83: Eastbound from BaPR @ 05:12 is delayed. Route 73: Northbound from Fulton Ind Blvd & MLK Jr Dr @ 05:41 will be delayed. For your safety, please remain vigilant by reporting suspicious activities immediately. Remember, if you 'see something, say something'. 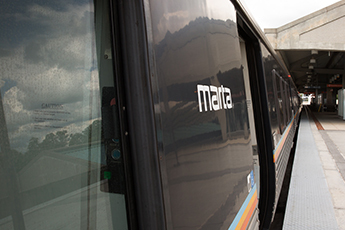 It is unlawful to litter in MARTA stations, and throw trash on MARTA’s train tracks. Violators are subject to being ticketed and fined. Inman Park, Elevator 1 (north entrance to concourse) out of service for renovation. Alternate Access: Use white or blue phone for customer assistance. Lakewood, Elevator 3 (parking lot to concourse [Astor Ave]) out of service for renovation. Alternate Access: Use white or blue phone for customer assistance. North Avenue, Elevator 6 (NB platform to north concourse) out of service for renovation. Alternate Access: Use south concourse elevator from NB platform. Decatur, Elevator 1 (WB platform) remains out of service. Alternate Access: Continue WB to East Lake, return EB to Decatur. Vine City, Elevator 1 (platform to concourse) out of service for renovation. Alternate Access: Use white or blue phone for customer assistance. 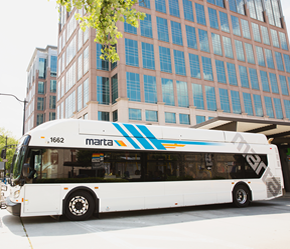 Community Circulator that operates East/West from West Lake station to Skipper Dr. along West Lake Ave., Joseph Boone Blvd., Holly Rd., Ezra Church Dr., Eason St., Chappell Rd., North Ave., Baker Rd., Holmes Dr., Hollowell Pkwy., Harwell Rd., Kingston Rd. to Skipper Dr.